I.B.R.O. 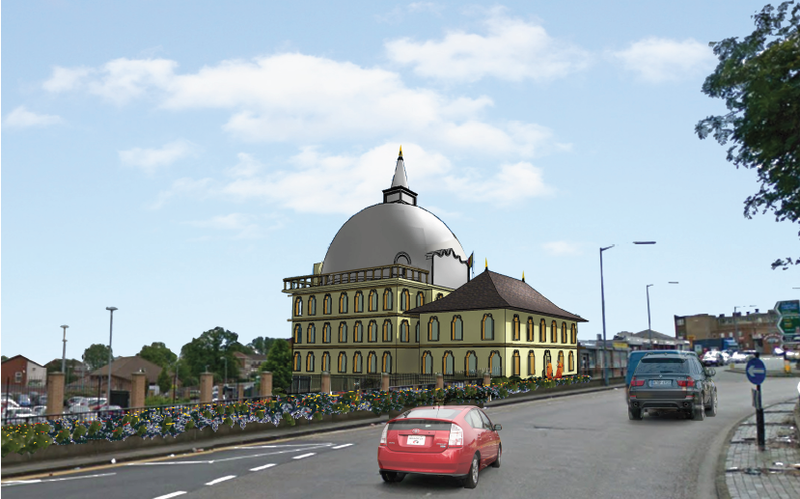 headquarters(Birmingham Buddhist Maha Vihara) recently obtained planning permision to build the largest Buddhist Maha Vihara in Europe. 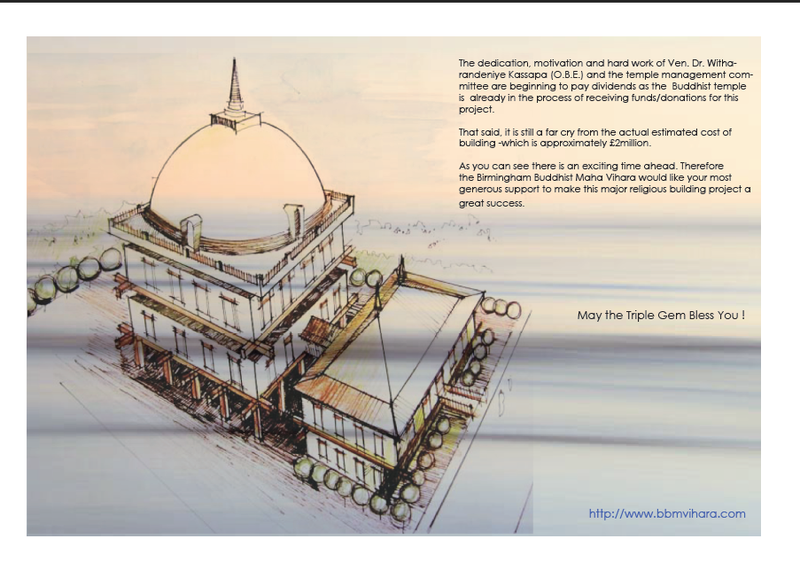 The Birmingham Buddhist Maha Vihara was established in 1992 by Ven. Dr. Witharandeniye Kassapa (O.B.E.) 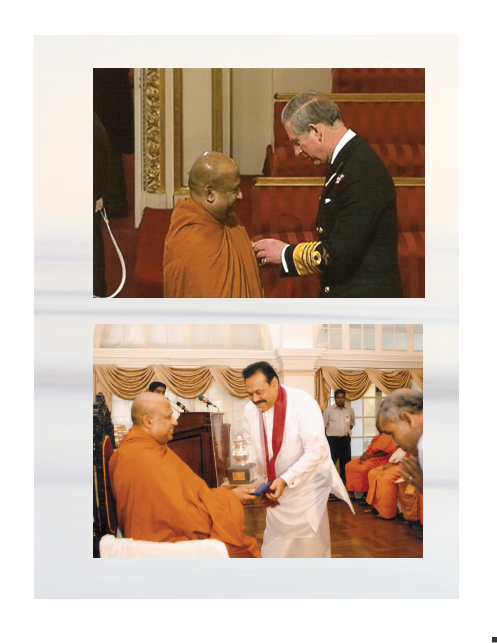 the present chief incumbent of the Maha Vihara. He is also the President of the Midlands International Buddhist Association in the U.K. and the International Buddhist Relief Organisation (I.B.R.O. ), which is affiliated to the United Nations. The images show the Prince of Wales awarding the O.B.E. to Ven.Dr. Witharandeniye Kassapa and recieving an ward by his excellency Mahinda Rajapaksa ,the President of Sri Lanka. 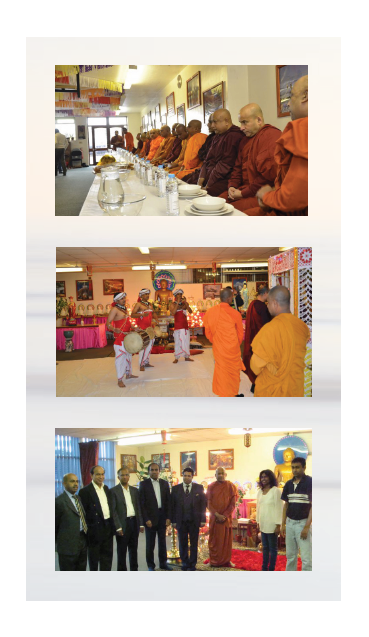 The Maha Vihara delivers number of Buddhist practisings and community service activities. This will be done through Buddhist teachings, sermons, meditation, community service, retreats and projects that preserve the tradition. 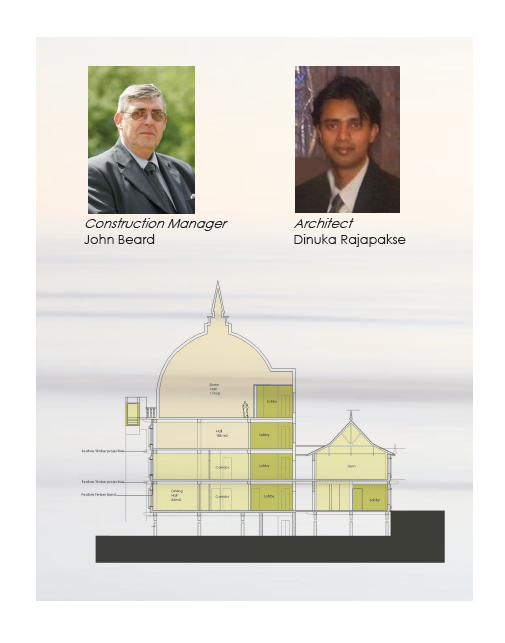 The new Community Centre will be an ideal place for pra.B.ctising Buddha Dhamma and will have complementary activities such as meditation classes, workshops and room for individual contemplation. Copyright © 2014 International Buddhist Relief Organisation.